Tahini is an essential for the fridge. It lifts the most basic of foods into a rich meal whilst retaining healthy qualities. 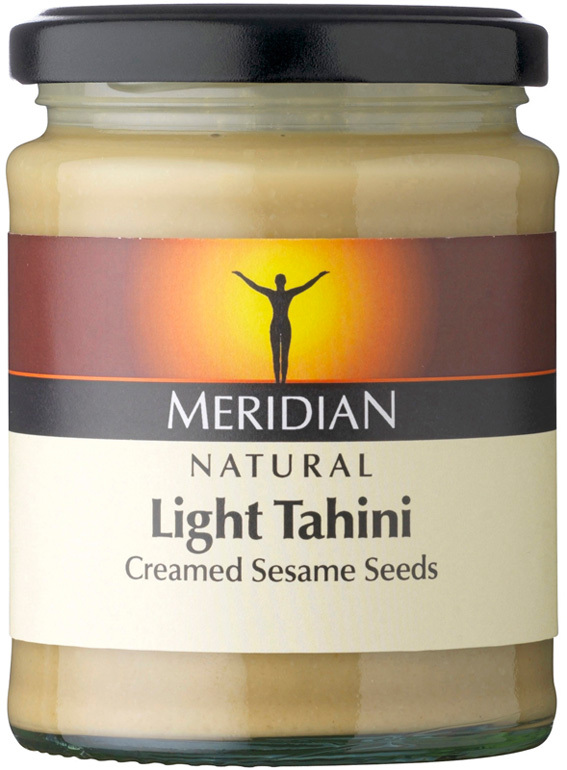 Tahini is a paste made from grinding sesame seeds and has a high protein content. A little tweaking turns it into a stunning dressing for steamed vegetables, brown rice and salads. It comes in a light and dark version. Both of which have an amazing depth of flavour. 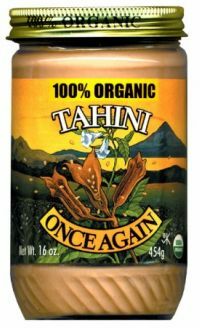 To learn how to make this sauce see Tahini Dressing. “Sesame seeds are very beneficial for you because they are rich in quality vitamins and minerals. They are very good sources of B-complex vitamins such as niacin, folic acid, thiamin (vitamin B1), pyridoxine (vitamin B6), and riboflavin”. Probably the most asked about, straightforward and delicious recipe we do. It will save meal times when all you fancy is steamed vegetables and brown rice, or a crunchy cos salad. You could also have with crunchy crudites. The measurements are just a guide, so that you can learn how to make this. If you need more then just double, or even triple up. Put the tahini, tamari, lemon juice and a splash of water into a bowl and stir well. At this point the dressing will go very thick and look a bit strange. Slowly keep adding water and stirring until you have a nice smooth consistency. If you are using as a salad dressing you will want it thinner than if you were using it as a sauce for vegetables. I always crave green food in the winter. I tried to find out if there was a specific reason but haven’t found anything fitting on the internet. Soups are always a winner and green is the perfect seasonal colour for this time of year. Calling it a green soup gives it versatility. 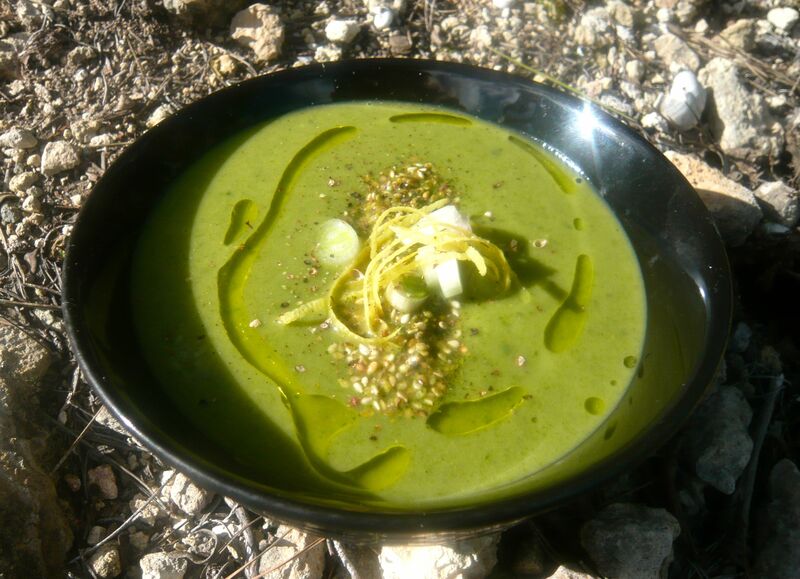 I originally made the soup with the dark green swiss chard which is common in Spain where I live. I am told its harder to find in the UK so I would say use either or both kale and spinach. 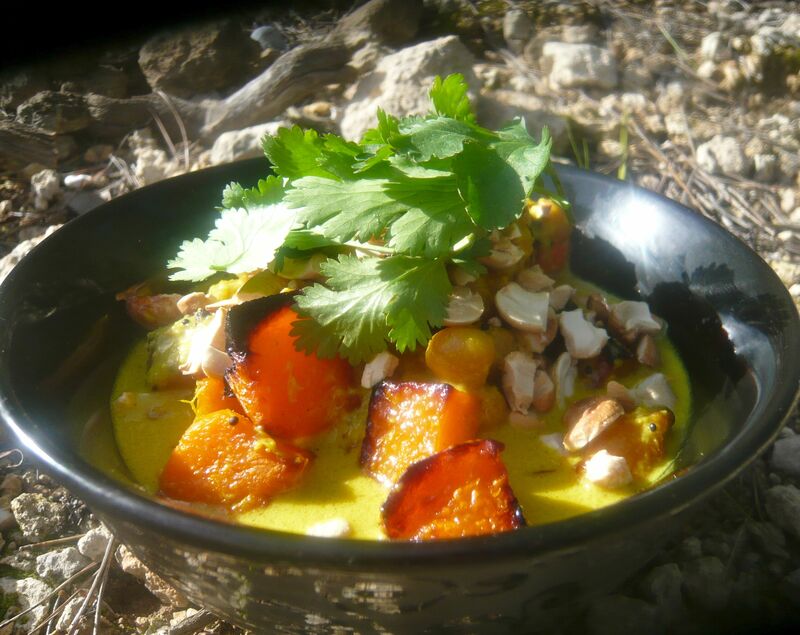 I have been getting white sweet potatoes in my veg box which add a richness, sweetness and texture to the soup. If you don’t see them where you live an ordinary potato will do. Don’t use an orange sweet potato though, as it sends the colour off. The garnish is optional, I just like to add layers and textures to food, it will work just as well on its own. Here I have used pumpkin and sesame seeds and salt, but alternatively you could use gomasio. You will need a stick blender, food processor or smoothie maker to blend the soup. 7. Toast off the pumpkin seeds and sesame grind or chop with some sea salt, the finer the better. Put your soup pan on to the heat, cover the bottom with oil. When hot add the onions, potatoes, garlic and ginger. Stir and turn heat down to medium, try not brown as it will send the finished colour off. 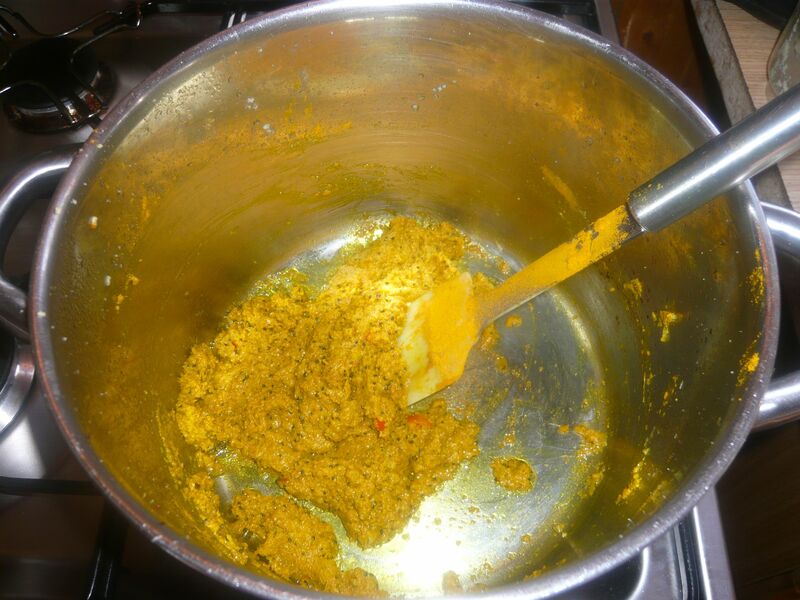 When slightly softened add the cumin, then stir in two thirds of the stock. Add the chilli and cook out for 20 mins, or until the potato is soft. Add your greens including the parsley and cook for 2 more minutes. Turn off the heat. Wait for 5 minutes and blend well. If you have a sieve or a conical strainer, it is worth pushing it through (clearly not essential). If its too thick add some of the stock you have left to get your preferred consistency. Season with salt and pepper to taste, remembering the stock has salt in it. You will also gain salt from the gomasio. Putting the greens in at the last minute gives the soup its colour and vibrancy. To finish, pour the soup into the bowl. Draw a circle of olive oil from a teaspoon over the soup. Take a tablespoon of quark and slide it off with your finger into the middle of the bowl. Divide the pumpkin seeds and pile on top of the quark then a pinch of the fresh spring onions and some lemon zest. Grind some pepper. None of the garnish is essential, its the soup that is the main player here. In all of the recipes on this blog, particularly in the cakes and the biscuits, wheat alternatives have been used such as spelt flour or ground almonds. 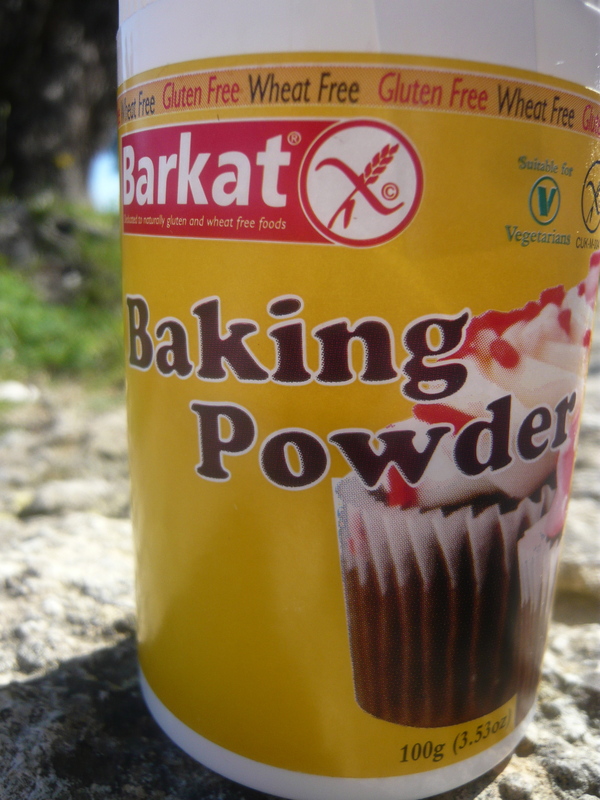 When baking powder is made there is a starch added which is wheat based therefore it is essential to use wheat and gluten free baking powder. You will find this in most supermarkets, in the wheat free section, or online. For a recipe which uses this see Poppy Seed Cake. 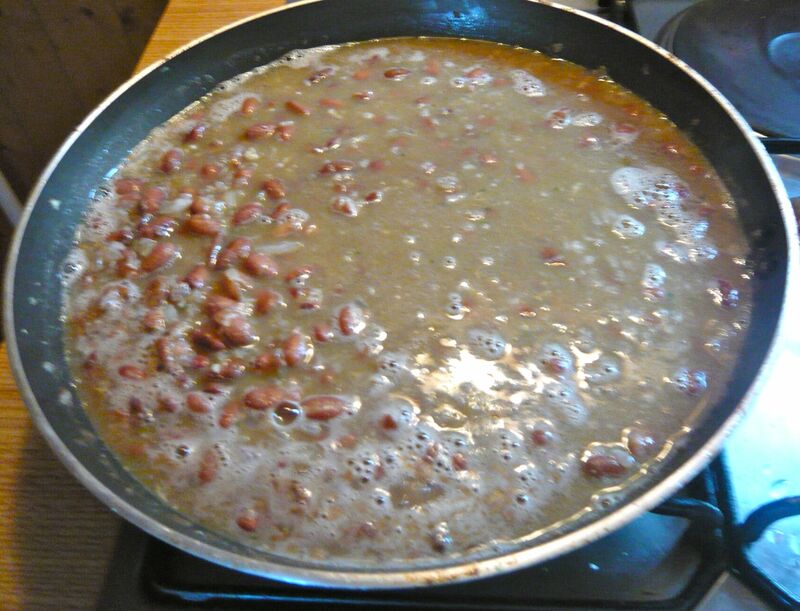 I am going with red kidney beans for this dish as I prefer the colour and they are probably easier to find. 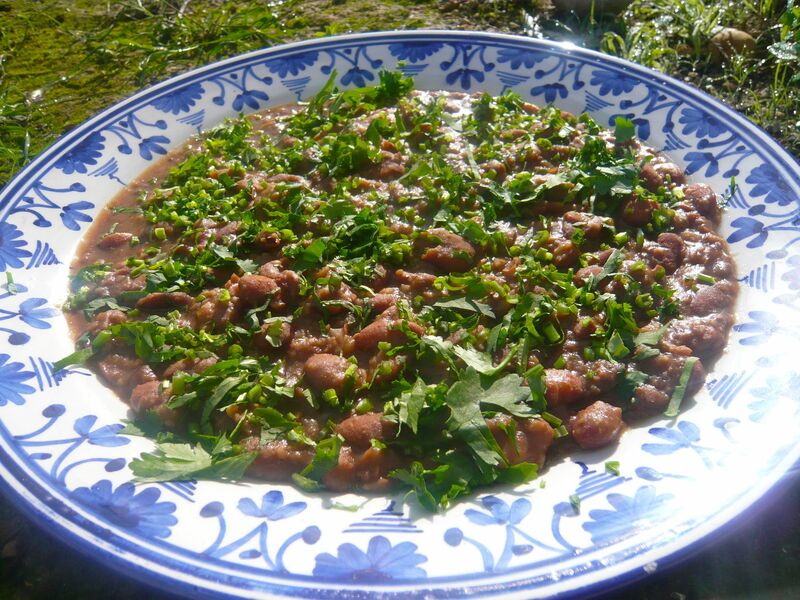 In the photos I have used pinto beans which are typically Spanish, but on reflection I normally use red kidney beans and prefer them. 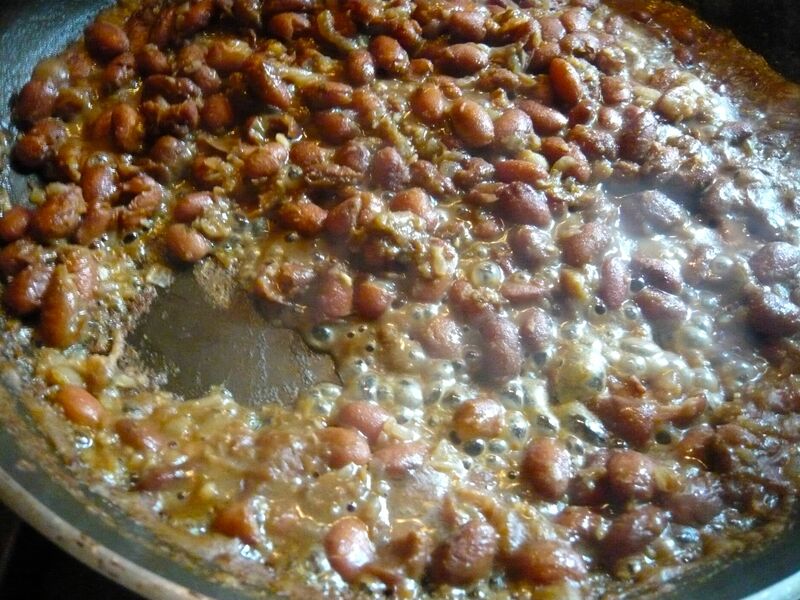 Re- fried beans will liven up any simple protein eg. grilled chicken, fish or tofu, and there will be no need to make a sauce. Amongst other things they are a good source of protein so you could just have them with brown rice, salad, green vegetables or even just a bag of tortilla chips. This is not a mash, it is fluid with plenty of the kidney beans visible. If you are using from a packet you need 250g and to soak them overnight and cook them accordingly until soft. Otherwise use a tin. If you are soaking and cooking them, keep the liquor they have been cooked in and use that to make the dish. If you are using them from a tin then wash the beans well before using them. There is never very much of this left after it is served up. If there is then put it in the fridge and reheat by putting a splash of water in a pan and adding the beans, keep stirring the beans until they are hot and you have a thick but wet consistency. Finely chop the onion and crush the garlic. Put a large frying pan onto the heat, add the olive oil and sweat off the onions and garlic. Add the cumin and stir for a couple of minutes. Add the beans and the liquid (if kept), stir and add the stock. You will need to keep adding more water in the cooking process, so boil your kettle again in preparation, make up a hot stock and keep topping up as the beans thicken. It is said, and I always do it, not to add cold water to pulses when you are cooking them or the pulse will not soften. Keep adding liquid and breaking/mashing the beans as you go. I use a silicon spatula and just press down onto the beans as they are cooking, don’t break them up too much, you want some texture. 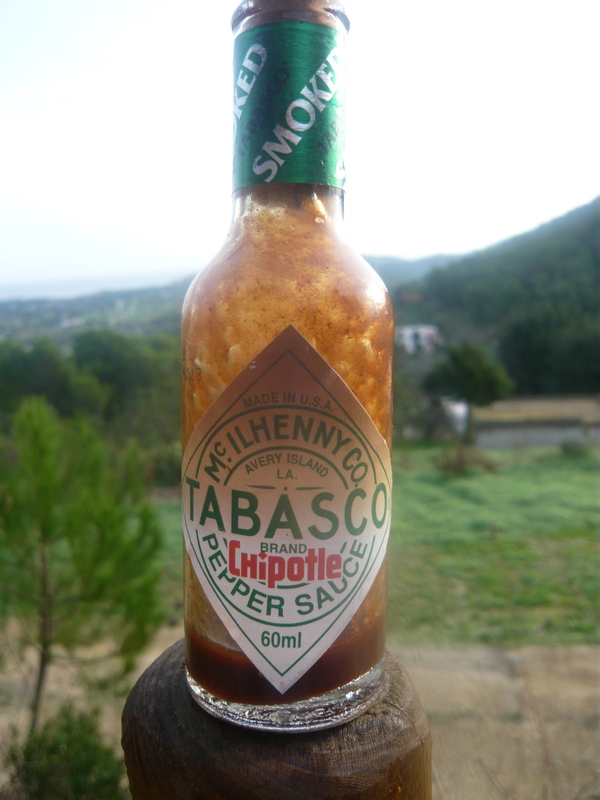 If you have chipotle tabasco or even ordinary tabasco add to taste. Finish off with chopped coriander. This is another ‘centre of the table’ or ‘mezze’ style dish made for sharing. Seasonally this is a winter salad which can be served warm or at room temperature. You can prepare this well in advance, just put all the elements together before serving. Cooking cauliflower on the fire with oil gives it a really unique flavour. I also roast off cauliflower in the oven which has the same nuances. This combination is really different and is always well received. It works well with any other dish on the table, fish, meat, or as a vegetarian/vegan dish. Cut the onion in half and slice it thinly. Mix the vinegar and the honey (or sugar) together. Put the cut onions into the same bowl and push the onions down with your fingers so they are covered with the vinegar. 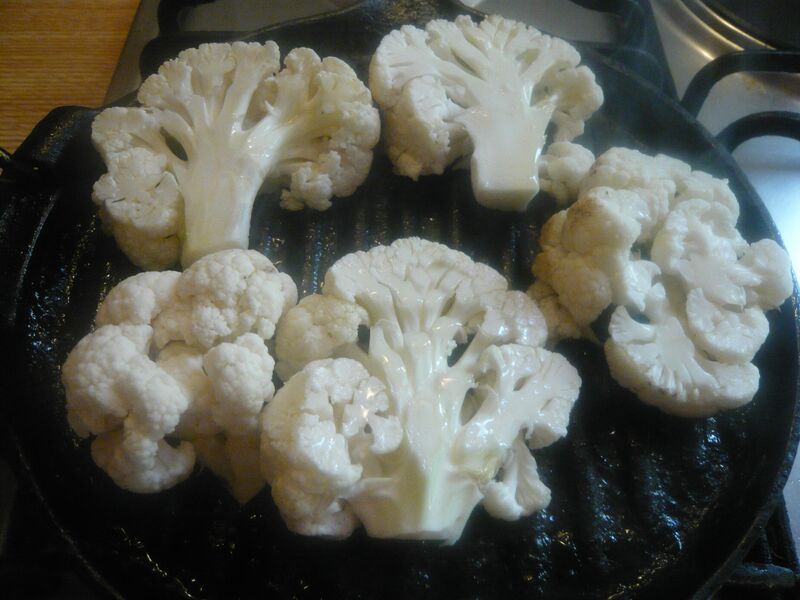 Cut the cauliflower across the body of it as oppose to florets as seen in the photo. Half of it will hold together, the other half will break into small pieces, but it doesn’t matter. Make sure the hazelnuts are roasted, quite often they are already roasted, if they have no crunch then pop them in a hot oven for 5-8 mins, don’t forget about them. Put your griddle pan or frying pan on a high heat, or fire up the gas bbq. When hot turn down to medium heat. 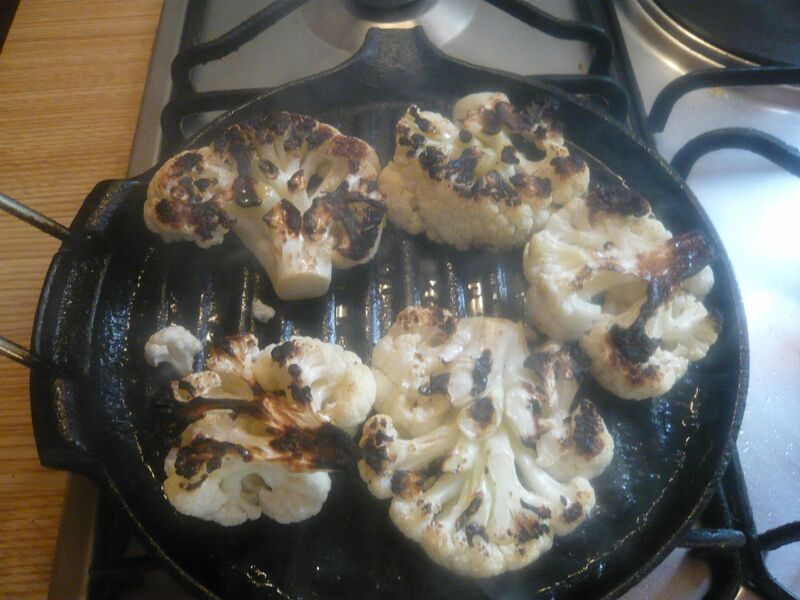 Toss the cauliflower in olive oil and put each large piece on the pan first, then after do whats left of the smaller pieces. Cook it well, you want some bite left in it but not too much. 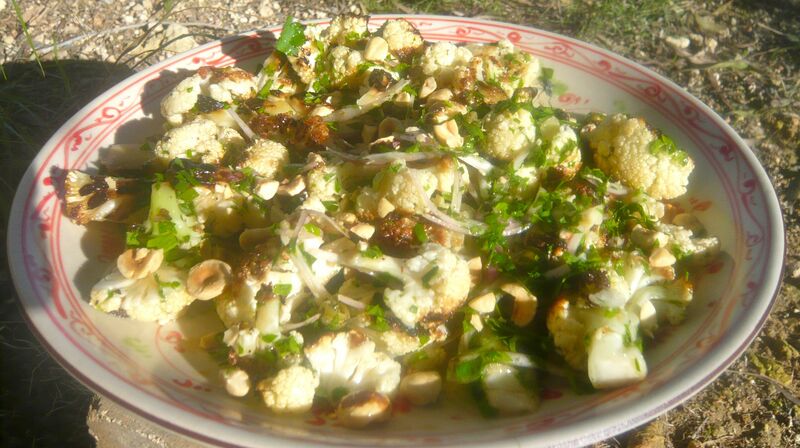 The cauliflower needs to almost burn a bit, crispy caramelized cauliflower is what you want. When it as all done cut the bigger pieces into bite size bits. Put into a mixing bowl with the capers, half the onion, salt and pepper and half the parsley. Mix the ingredients in a bowl, taste, always taste everything, for seasoning. Lay onto a plate, then finish off the garnish with the rest of the onions and parsley.